When you manage to ship 75 million smartphones over the course of a year and generate $46.4 billion, you’ve settled on a darn good business plan. 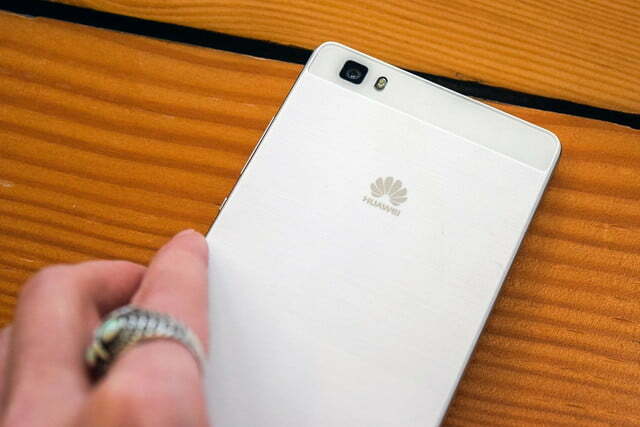 But the massively successful Chinese device maker Huawei has loftier ambitions than record sales and profits: It wants to grab a huge slice of the U.S. smartphone market — unlocked handsets — that it sees ripe for the taking. 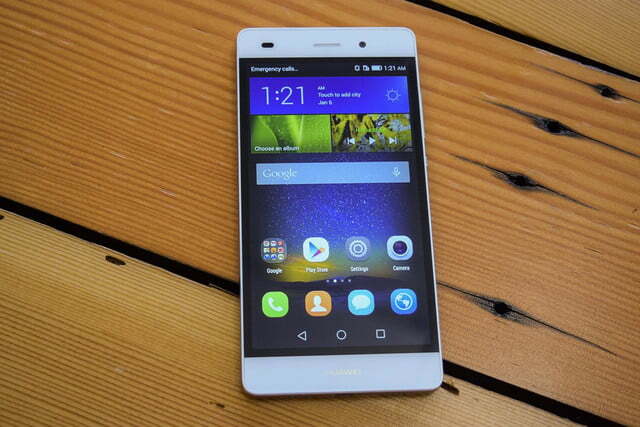 After dipping tepid toes for years with carrier-branded phones, Huawei’s making its biggest push yet with the P8 Lite. 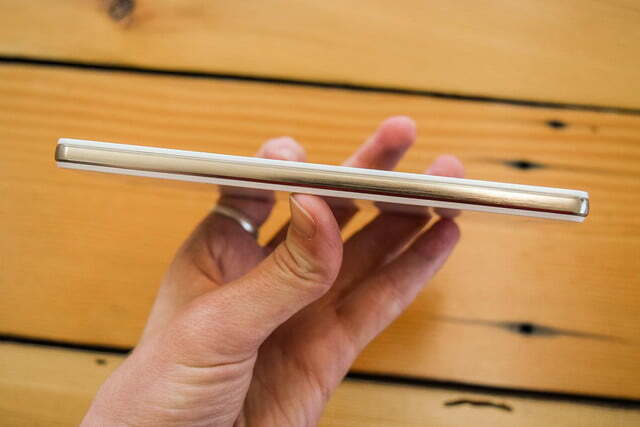 Keeping in line with Huawei’s past U.S.-bound products, it’s not the most expensive handset on the block — it’ll go on sale for $250 when it launches on Amazon and gethuawei.com later today — but is no slouch when it comes to hardware. The P8 Lite sports a 5-inch 720p screen with great viewing angles and an octa-core, 1.5 Ghz Snapdragon 615 processor, both of which are complimented by 2GB of RAM, 16GB of storage, and dual SIM slots. 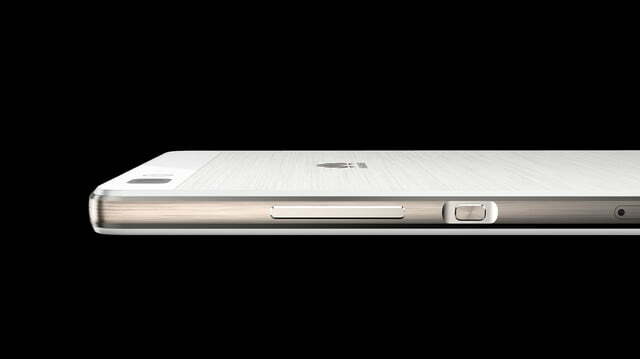 Other accoutrements include LTE radios, a 2,200mAh battery, a 13MP rear-facing camera and 5MP front camera, and a MicroSD reader (built into one of the SIM slots) supports up to 32GB cards. 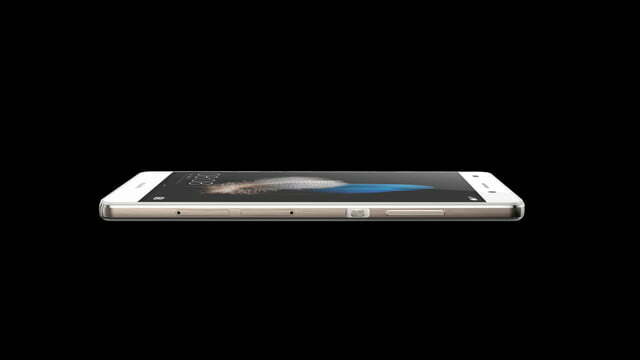 The P8 Lite may not dominate the benchmark charts, but you wouldn’t guess it from the surprisingly sturdy body. 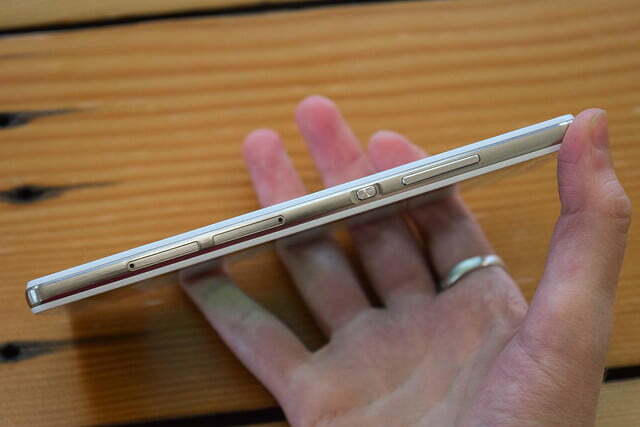 The P8 Lite weighs in on the lighter end at 4.64 ounces, but feels and looks solid in the hand thanks a plastic unibody. The grippy, fingerprint-resistant back is a welcome contrast to the more flamboyant textures we’ve recently seen on phones from other manufacturers, but perhaps a pendulum swing too far — an understated Huawei logo and a camera pinhole stand alone in a sea of nothingness. 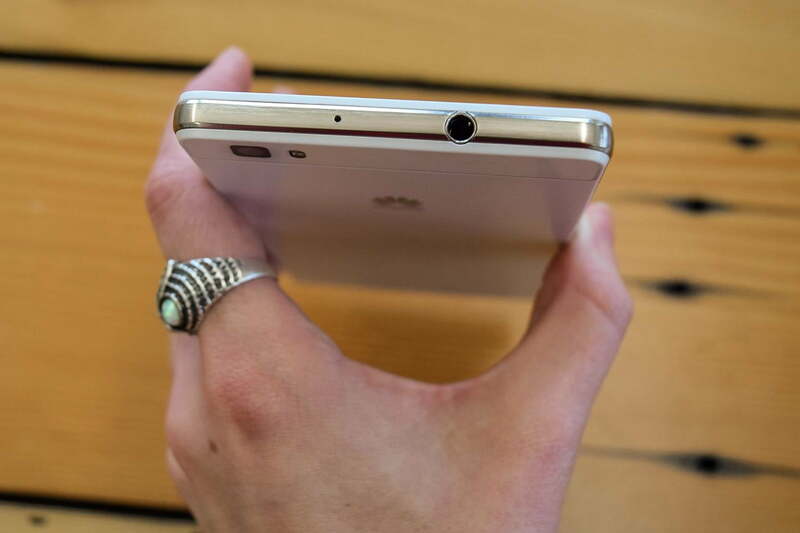 That certainly doesn’t help distract from the noticeably thick 7.7mm frame, but we can’t refute Huawei’s assertion that the P8 Lite lends itself to one-handed operation. 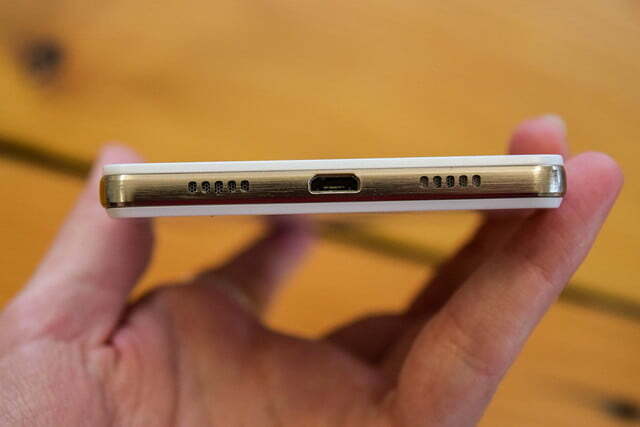 As ironic as that statement sounds coming from the creators of the gargantuan P8 Max, it’s much appreciated. 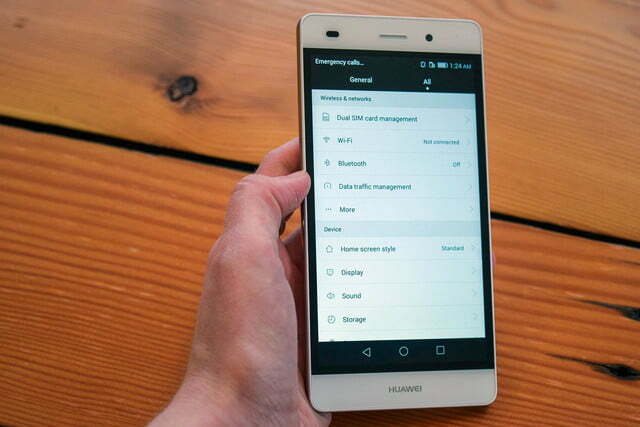 There are a few software features of note on the P8 Lite, and they all center around picture taking: Huawei’s Emotion UI packs noise-reducing algorithms that aim to improve low-light clarity, and it has a capture mode that lets you adjust the focus of a picture after you’ve taken it. 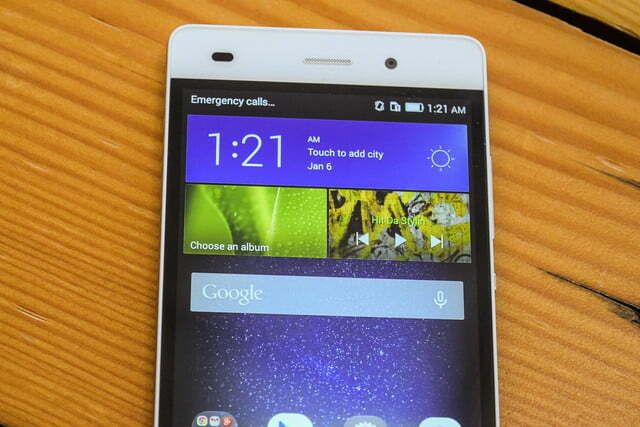 Software is at the center of Huawei’s continuing partnership with fitness company Jawbone. Andre Rostebtgal, Group Manager of Platform and Wellness at Jawbone, took the time at the P8 Lite press conference to speak briefly about enhanced functionality coming to Huawei’s TalkBand B2. The first third-party device to interface with Jawbone’s UP service, the TalkBand B2 will help you track the UP app’s integrations with various third-party hardware and apps — products like the Nest Thermostat, Internet-connected bathroom scales, Strava, and Runkeeper. That feature launches today. 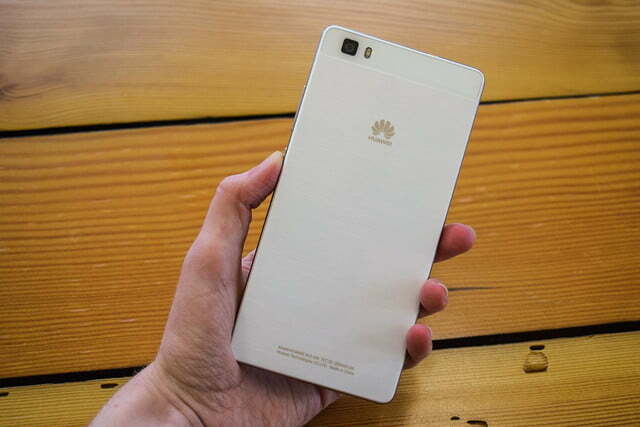 The P8 Lite isn’t the first stateside push Huawei’s made. 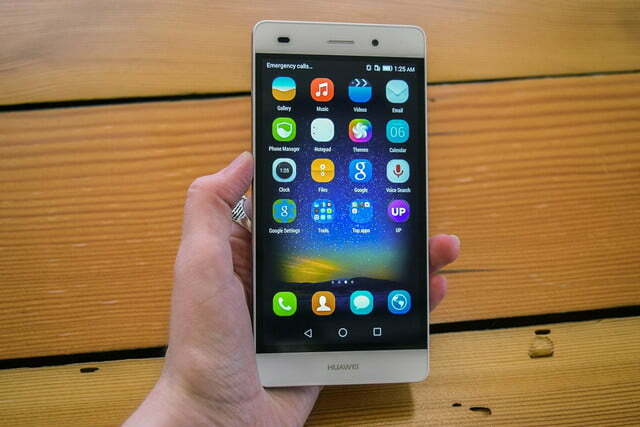 It unveiled a dedicated Web portal, gethuawei.com, two years ago to accompany the launch of the Ascend P1, but things didn’t go quite as smoothly as planned. 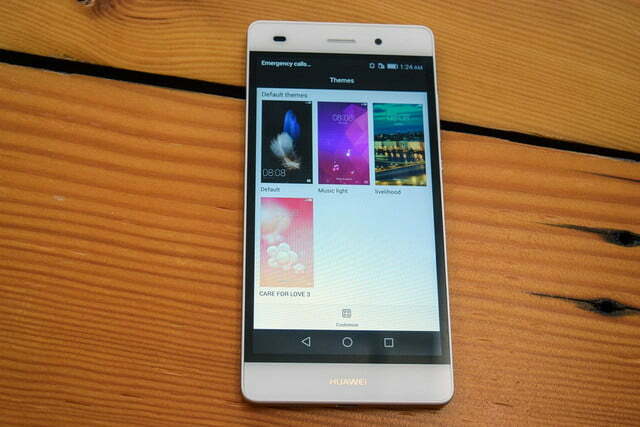 Huawei didn’t manage to partner with a U.S carrier and so was forced to sell the P1 at the prohibitively price of $450. 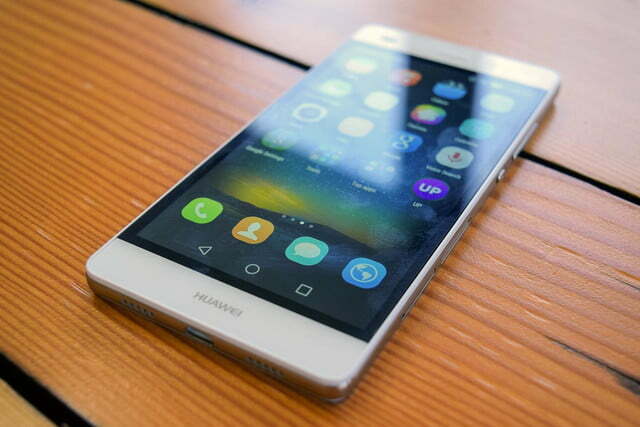 To Huawei’s credit, it’s a mistake the company’s managed to avoid making twice by sticking to an off-contract strategy and targeting lower-end specs — the Ascend Mate2 debuted at $299, and SnapTo at an even more palatable $180. 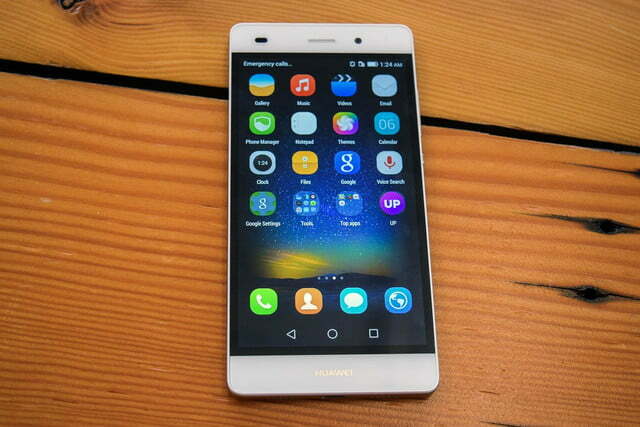 But while both sold relatively well, Huawei thinks it can do a lot better. The way President of Huawei Device USA Zhiqiang Xu sees it, the company has a big thing going for it: quality and customer satisfaction. Rather than let device pricing dictate standards, Xu says Huawei is working towards a “zero failure rate” — eventually, it wants 100 percent of smartphones off the factory conveyer to function without issue. 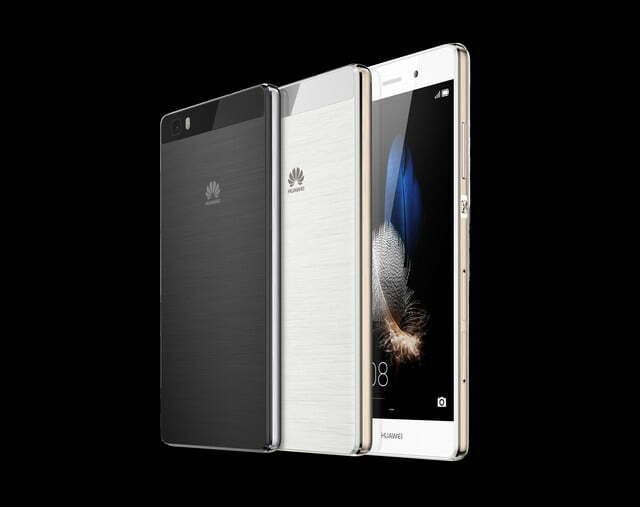 In the meantime, though, the company’s launching a two-year warranty program starting with the P8 — Huawei’s staffing call centers in the U.S. and offering free shipping to and from local repair centers. 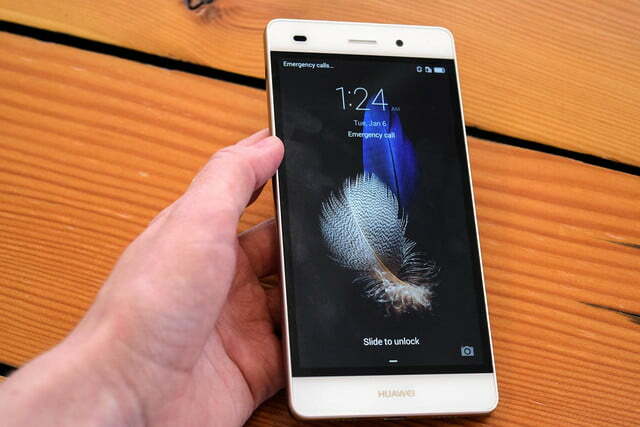 It’s all part of Huawei’s wider effort to shed its image as a purveyor of flimsy devices. “We have improved … hugely,” said Xu at an event in New York City. 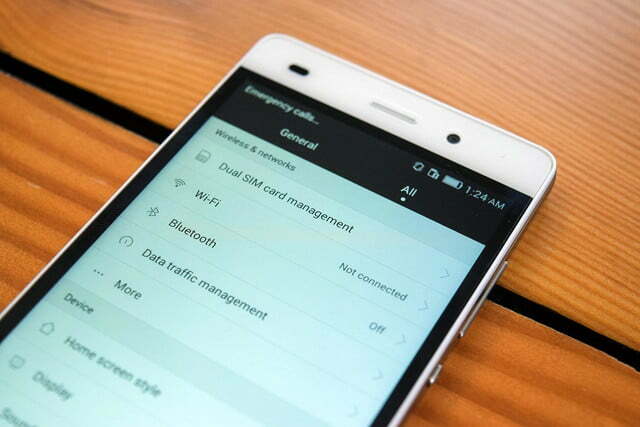 Another factor working to Huawei’s advantage? The transition away from subsidized pricing. “U.S. customers benefit from [the elimination of subsidies] because they have the freedom to choose the network, phone, and package that exactly meets their own needs,” Xu said. That’s largely true — there’s nothing stopping a no-contract customer on T-Mobile from, say, buying the P8 Lite and moving to AT&T (which, incidentally, will reportedly begin weaning its customers off two-year contracts this summer). 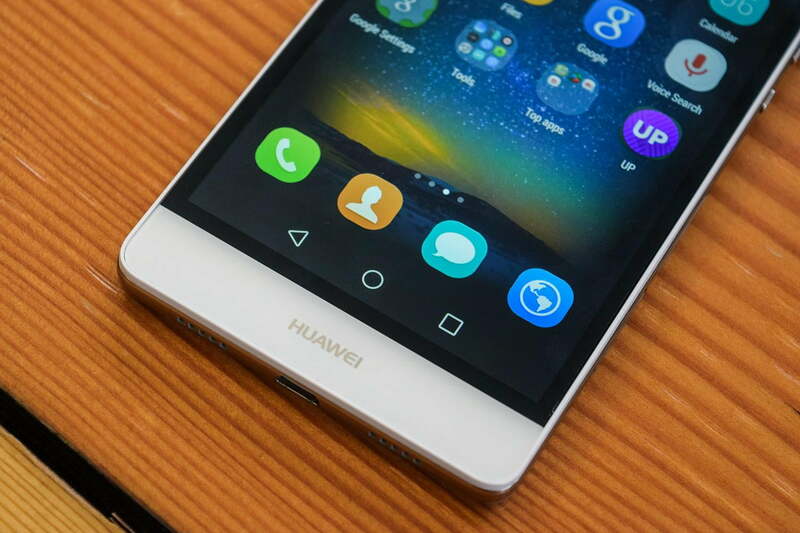 And the appeal of that arrangement has piqued U.S. consumer interest — 42 percent of users intend to buy unlocked next time they upgrade, according to a Huawei survey.